Frequently Asked Questions | Double Diamond Electronics LTD.
We are located at 12210 -163 Street, Edmonton, Alberta, Canada. We are on the west side of Edmonton and on the south side of Yellowhead Trail. What happens with warranty issues? DOUBLE DIAMOND ELECTRONICS LTD. is an authorized sales, service and warranty repair dealer for all of the products we sell. We work with many quality manufactures to provide you with the best service. If you have a warranty issue, please call us at (780) 443.4990 and we will provide you with the best course of action. 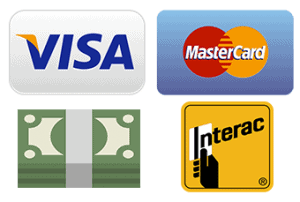 What type of payment options are there ? Do you have online shopping ? We do not have online shopping at this point. However, it is something that we are looking at for the future. DOUBLE DIAMOND ELECTRONICS LTD. has made consumer privacy a high priority. We do not sell or disclose any personal information collected during your visit to our store. Any personal information that we collect during your visit is used exclusively to properly process and fulfill your order and to personalize your shopping experience. We will maintain the confidentiality of personal information you provide to us and use it only to support your customer relationship with us. So, for example, we will not disclose your personal information to any other person to add to their mailing or marketing lists. DOUBLE DIAMOND ELECTRONICS LTD. adopts the Canadian Standards Association privacy standard, Model Code for the Protection of Personal Information CAN/CSA-Q830-96. This privacy standard is a respected cornerstone for addressing privacy issues. DOUBLE DIAMOND ELECTRONICS LTD. is committed to consumer satisfaction. We will fully refund unopened or unused products up to one month after the purchase date. Products that are opened, used or were purchased longer than one month ago will be refused or be subject to a restocking fee.